Great location with easy parking. Super helpful host. 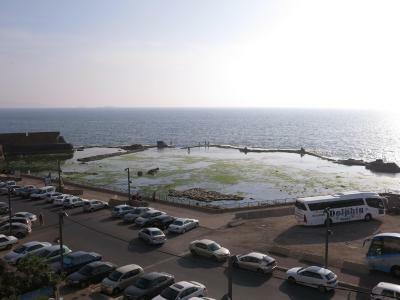 The property was right on the water near the wall in the center of the old City of Akko. 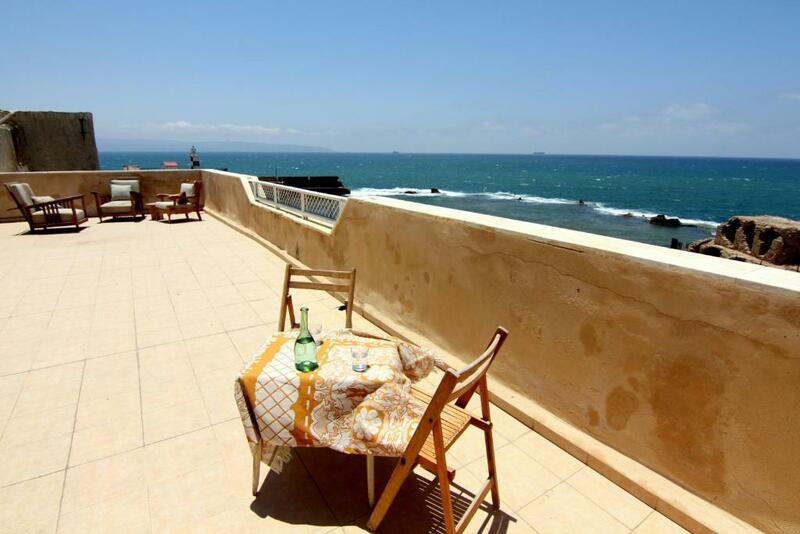 Great location with a terrace looking out onto the Mediterranean Sea. Nzar was a great host and very welcoming. It's like you are a guest in his home. You can try anything in kitchen, he got us some welcome snack of zatar bread (we'd just arrived from airport via sheerut on Shabbat), he drove us to the gardens (would never had thought to go but it was lovely with a nice beach walk back), he dropped us at train, and he is a wealth of knowledge on the town. When we arrived after redeye flight, he let us crash in another room while we waited for our room to be ready; this was invaluable. He is trying to slowly build a business doing this while slowly doing work little by little on the guest house (it is his childhood home). We wish him best of luck and would happily recommend others to stay. Very good location, and balcony view is excellent! Breathtaking sunset! The price is reasonable for the location and view! 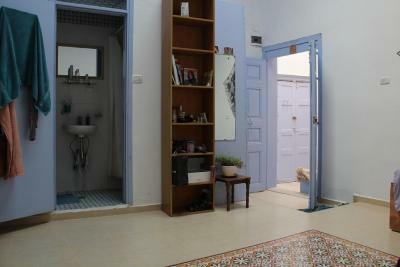 As located in old city, facilities is simple and old, shower water is not hot enough for me. Outside sign is not very obvious, you may need to ask people or phone the owner. But overall it worth the money. Owner is a very nice man. The host is very friendly and he reccomended the best restaurant in Akko ..
Amazing staff, super helpful, took really good care of us. The location is perfect and the terrace amazing. 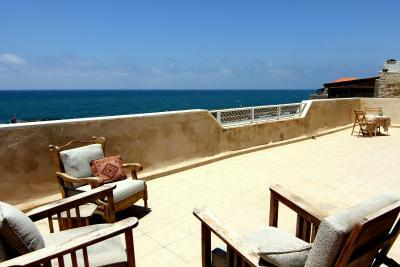 Located north of Haifa Bay, Nzar Khoury for Hosting is located in ‘Akko, just 1,950 feet from the Ze'ev Frid Marina. With free WiFi, the property features a furnished sun terrace offering panoramic views of the coast. 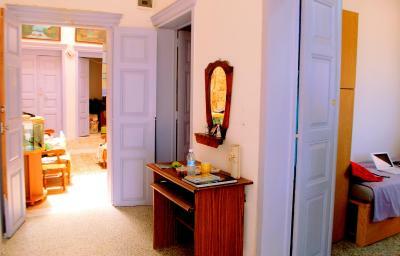 The individually decorated rooms are equipped with a fan, clothes rack and heating. 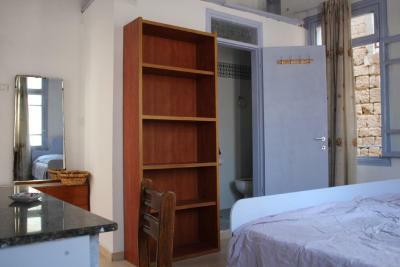 The studio offers a small seating area and kitchenette. Extras include towels and linen. 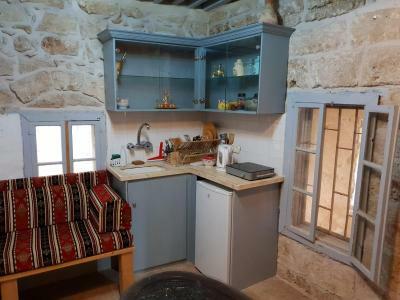 At Nzar Khoury for Hosting guests may make use of the shared kitchen. 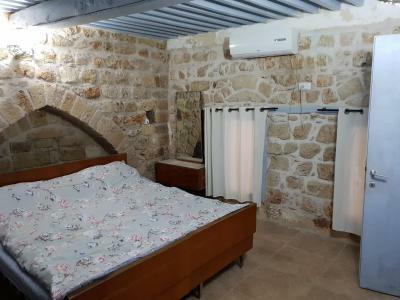 The Uri Buri restaurant is 200 feet away and nearby attractions such as Acco Beach and Reklinghausen Garden are within 1.2 mi of the property. 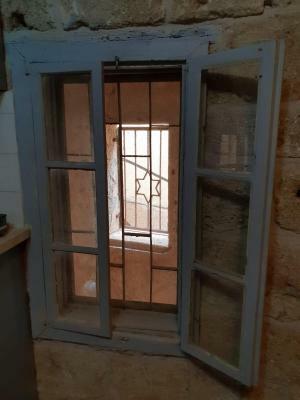 The guest house is 3.1 mi from Bahjí - Bahá'í Gardens in 'Akko and Ben Gurion Airport is 82 mi away. 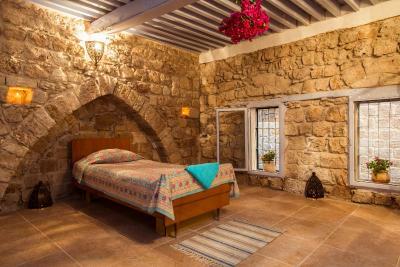 When would you like to stay at Nzar Khoury for Hosting? 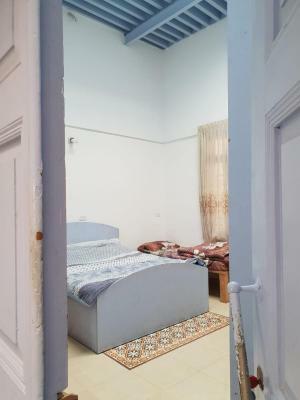 This room has air conditioning, a fan and bathroom with a shower. This studio features interiors with exposed brick creating a rustic atmosphere. 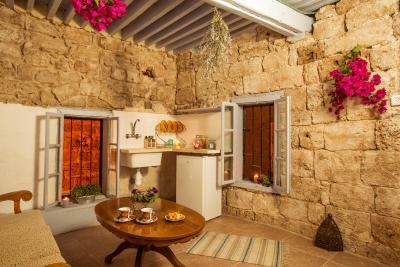 It includes a small seating area, kitchenette and a private bathroom with a shower. This is my home, the place i was borne in and lived most of my life in. House Rules Nzar Khoury for Hosting takes special requests – add in the next step! All children under 12 years are charged ILS 69.18 per night for extra beds. Any additional older children or adults are charged ILS 103.76 per night for extra beds. Nzar Khoury for Hosting accepts these cards and reserves the right to temporarily hold an amount prior to arrival. Based on local tax laws, Israeli citizens must pay VAT. This tax is not automatically calculated in the total cost of the reservation, and must be paid at the property. Please note that upper floors can be reached by stairs only. 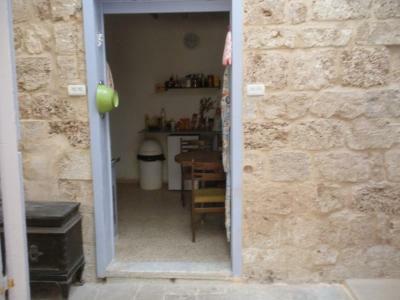 amazing location, free parking right at the heart of Akko. Splendid view of Sunset and smell of sea is just unbeatable.... The host is an amazing person worth meeting, looking forward to coming back. Some may say the place is quirky and it is a fine line as some may say the condition is unacceptable. 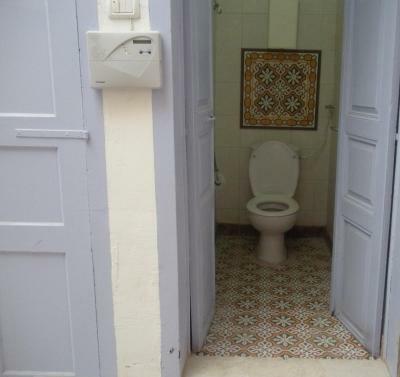 Other reviews claim the renovations are a work in progress, I say he has given up, and so is poor value for money. Nice owner, good location, owner let us stay in the room until time for the bus late on the Sabbath. Allowed to use kitchen facilities. Fabulous view from terrace. Host very helpful. The house is, 350 years old and so there are some issues. For example there are stairs in abundance. Nzar is working hard to modernise and improve an ancient structure. Hence our shower was good and our bed clean and comfortable but some other areas were a work in progress. It does give you insight into the complicated structure of this fascinating building. Nzar takes the name guest house quite literally. He leaves food in the kitchen and he takes you anywhere you need to go. You are a guest in his house and he behaves accordingly. This makes the atmosphere relaxed and homelike. The view from the terrace is memorable and comfortable furniture is there for you to chill with a drink. location is excellent! Mediterranean sea is just across the street. Parking lot is in the front. There were plenty of food in the kitchen, what's more, most of them are free for the guests! Was little challenging to get there, so be patient! We enjoyed very much our stay in this place. Nzar is the best host!. We felt in home the whole time. 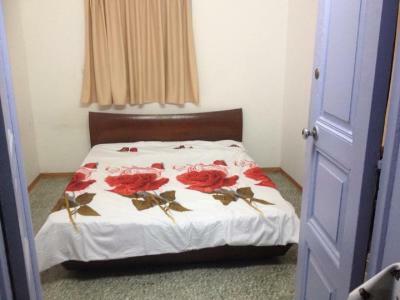 The place wasn't as clean as the photos portrayed and my friend had the ceiling leak on her bed in the night. The place can be difficult to find but that's all of Akko generally! Nzar was a friendly host who went above and beyond in terms of dropping us to the train station and giving us a walking tour around the city. I am very sorry for Nzar but the cleaning and the building conditions are just not acceptable. 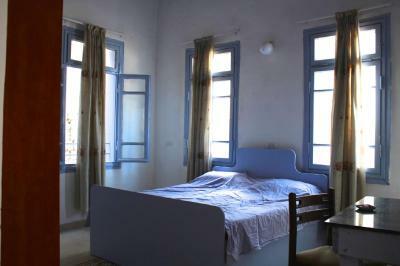 Ruined walls, dust and dirt everywhere, yellow stains on the pillows and very old basic furniture. 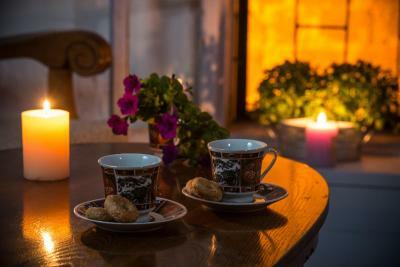 It is not a matter of price, which is exaggerated too, but It’s a matter of basic rules for hosting. 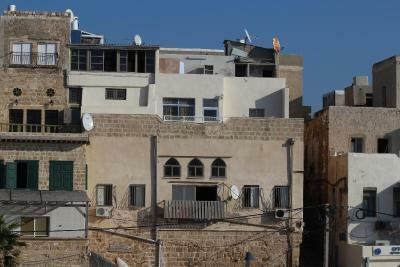 The location was near the old centre of Akko. 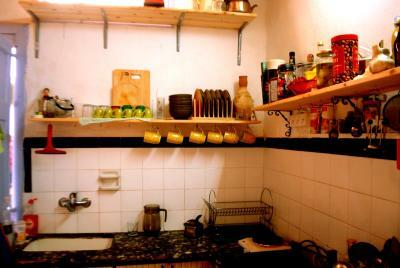 It had a kitchen where we could use all kind of ingredients to make a great meal. And ofcourse the tour into the old city giving by Nzar himself was really interesting and beautiful! At the end of our stay we wanted to rent a car in Nahariya and Nzar took us the car rental place. So nice! Enhancement works not over yet, hence an unfinished feeling, but our host was well aware of this. Very nice welcome from Nzar, who loves his city and wants to share it. We also appreciated the food he offered us. The works he's been doing to his home really contribute to enhance it, and they're made with good taste. 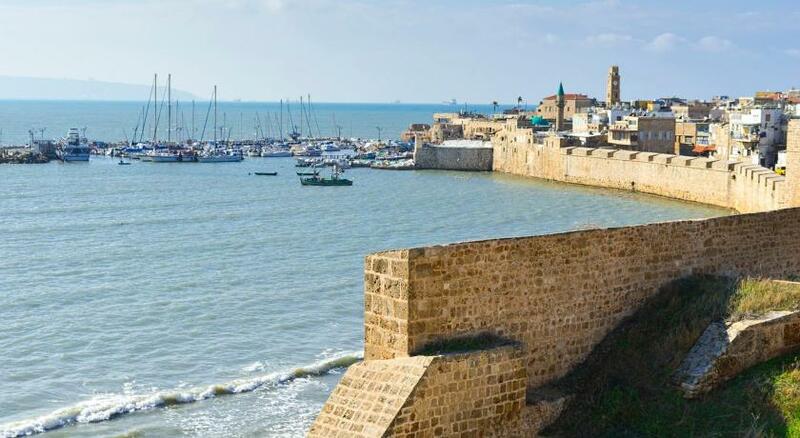 Very nice location in the old Akko, and wonderful view on the fortifications and the sea. Nzar is an excelent host, very friendly and poly. Beautiful view to the see. 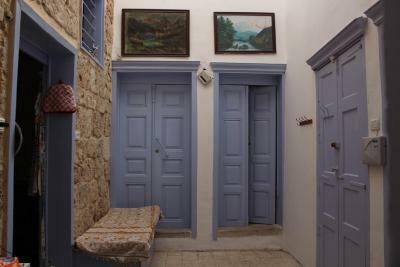 Two steep stairs outside then two steep flights inside and rather homely. Nice view very modest setting. Yet full kitchen and extras ok. The apartment is a total no-go. Already the entrance of the building looks like it belongs to a ruin. The place itself is in a very bad situation. The kitchen look like a mess. The equipment is super old and in no good condition. The bathroom and room itself is not clean at all - hairs, mold and wall pointing that comes down from the wall. Definitely not accaptibale for the price. We were thinking about leaving but since we arrived late at night we decided that we will "survive" one night. Argumentation of the host that he doesn't invest in the apartment now because he plans ro rebuild the entire place doesn't help at all and is not acctable. The location is great. Directly at the waterfront.